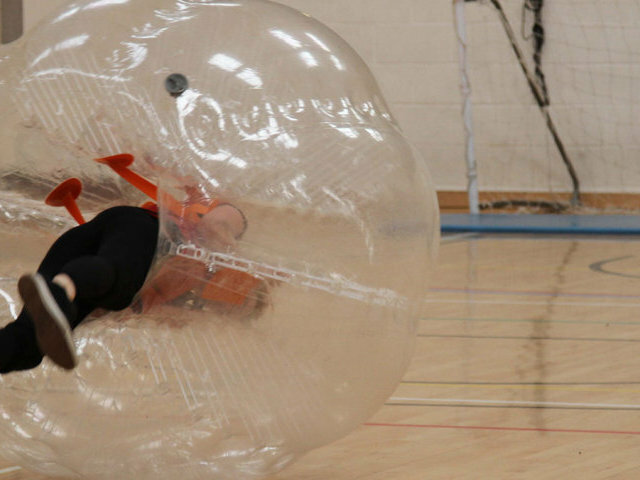 If there’s any certainty in the world, it’s that Manchester are very passionate about their football, but whether you support City or United, one thing we can all agree on is that the Manchester zorb football stag do is one of the best stag do activities ever. 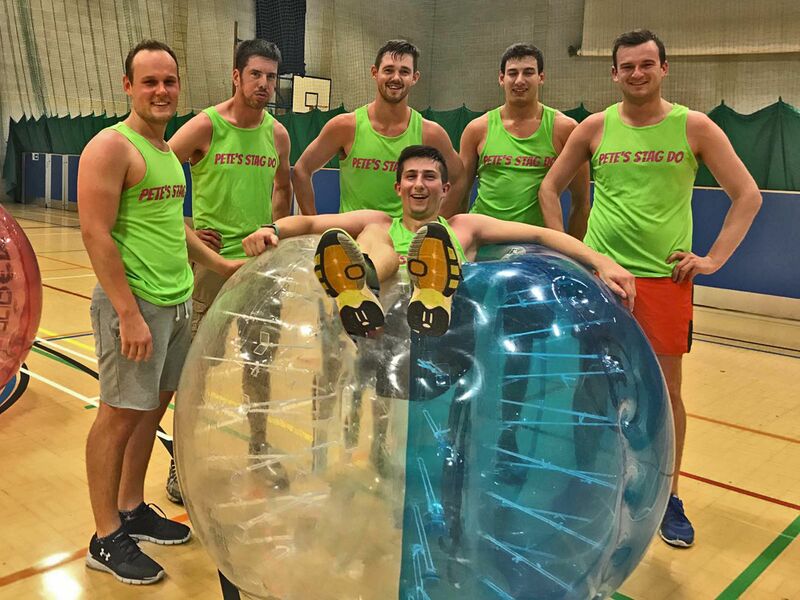 Great laughs, great banter, even great exercise is all guaranteed in a hilarious game of Manchester stag do bubble football. 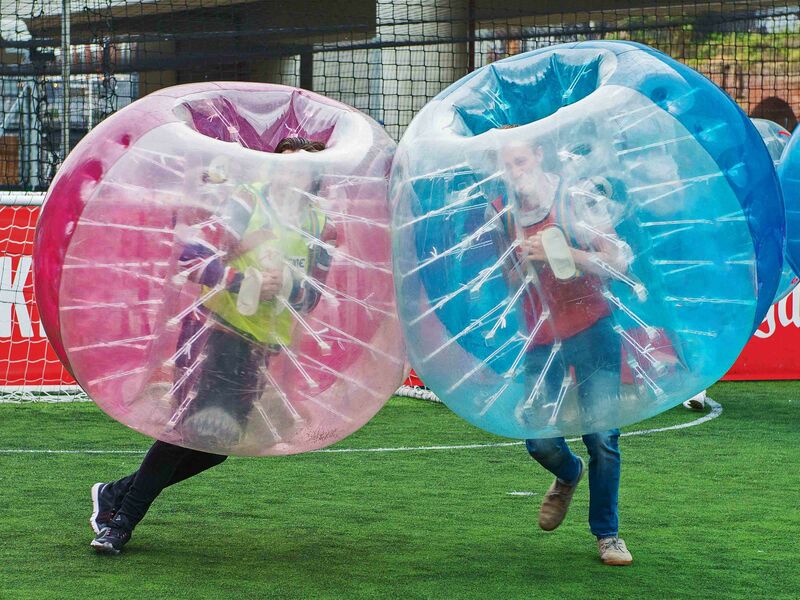 You’ll be playing a classic game of 5-a-side football but with one small difference: you’ll be wrapped in a giant plastic bubble. In no time at all you’ll be bouncing and rolling all over the place as you crash into one another in the clumsiest football game of all time. It won’t impress Jose’ Mourinho but it’ll definitely be a laugh! 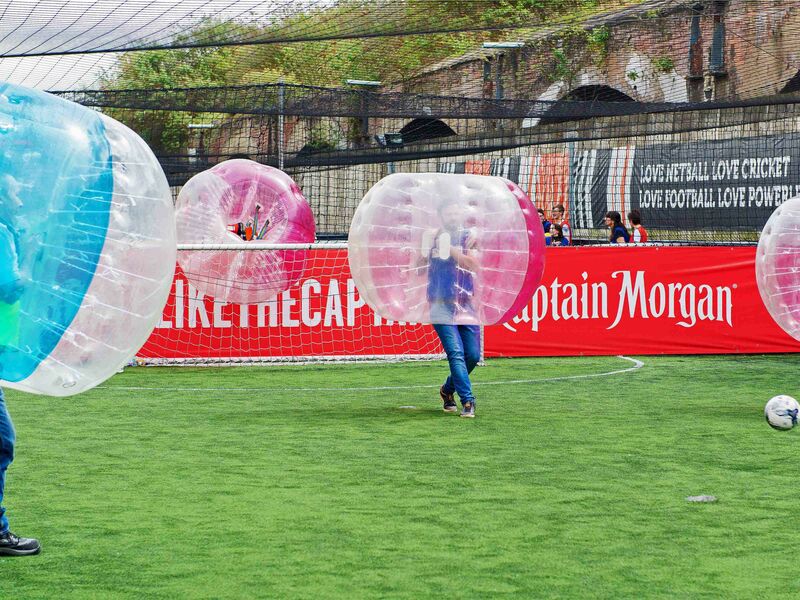 Booking a Manchester zorb football stag do with Funktion removes all the hassle. You don’t need to worry about bringing anything, all you need will be provided on the day. Booking with us is a piece of cake and takes all the hassle out of stag do planning, so once that’s done all you need to do is make your way to Manny. 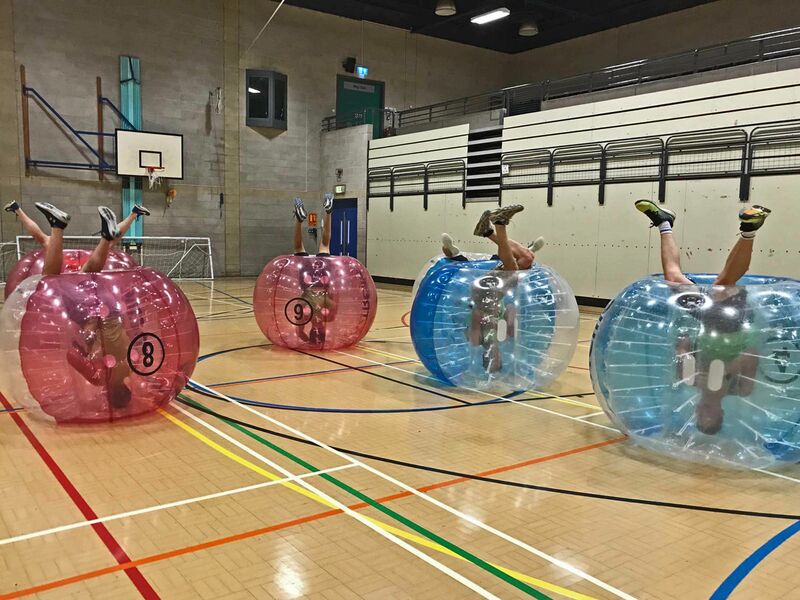 Most of the Manchester stag do bubble football venues are located in the city centre of Manchester, so if you can’t be mithered walking after all that running around then the excellent pubs, clubs, bars and restaurants Manchester are just a stone's throw away! Most of the facilities have a changing room to save you a trip to the hotel before you hit the town, and even a mini-bar for you to celebrate your victory (or drink away your sorrows) with a beer or two! The Manchester zorb football stag do is the perfect way to make life lasting memories with your best mates. So what’re you waiting for? Book today! 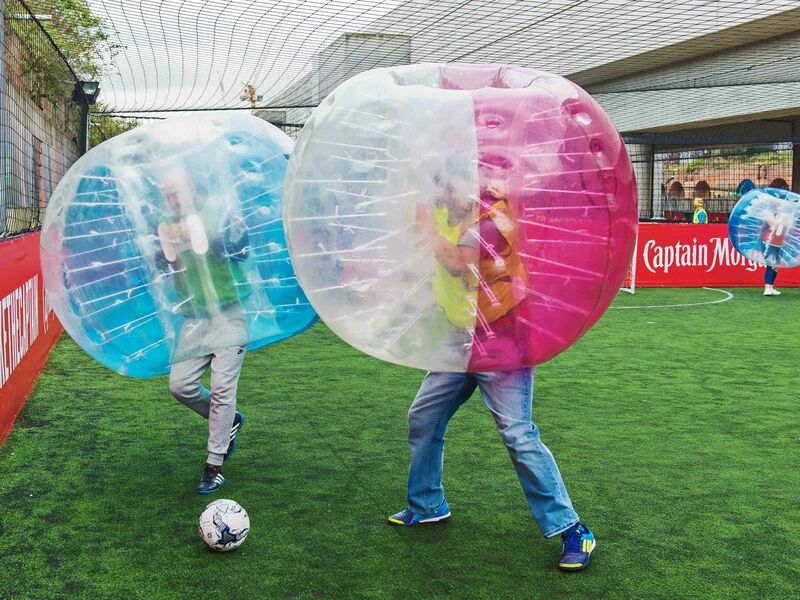 A challenging & fun 2 night Manchester Zorb football stag weekend offering a helpful local bar guide, Zorb football ­activity ­and nightclub ­entry.